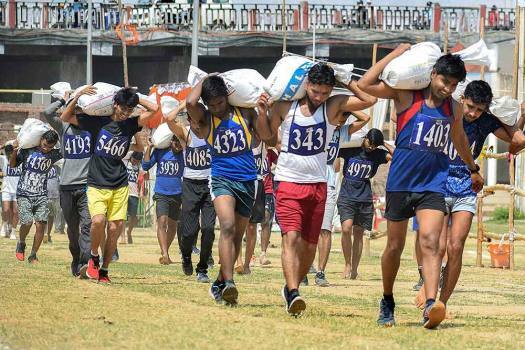 Applicants take part in a Railway Recruitment Board (RRB) group GD Physical Efficiency Test at an examination centre ground, in Prayagraj. 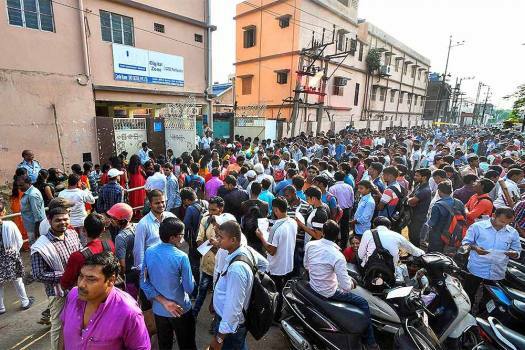 Applicants wait outside the examination centre before appearing for online Railway Recruitment Board Examination (RRB), in Patna. 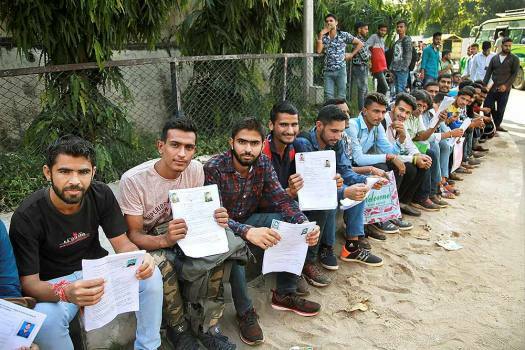 Special Police Officers (SPO) applicants wait at Police line to submit their forms, in Jammu. 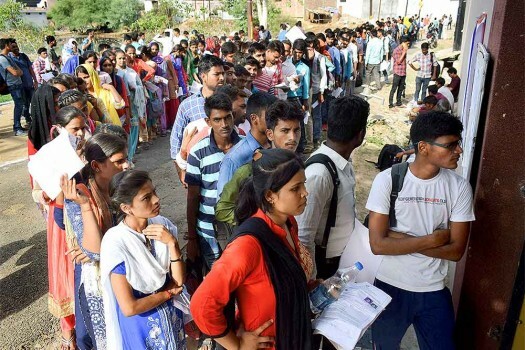 Special Police Officers (SPO) applicants stand in a queue to submit their forms at Police line, in Jammu. 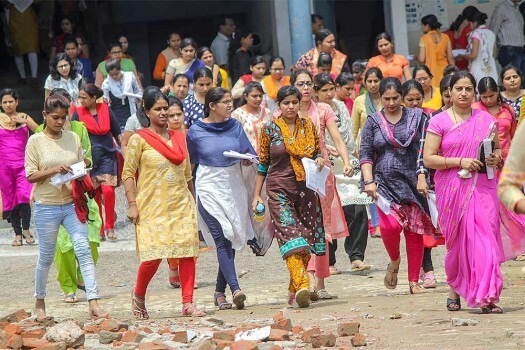 Candidates come out of an examination centre after appearing in LT Grade (assistant teacher) examination, in Ghaziabad. 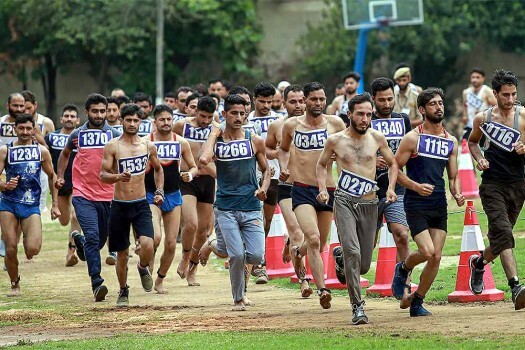 Applicants run during a physical test for State Disaster Response Force (SDRF) recruitment rally, at Gulshan ground in Jammu. 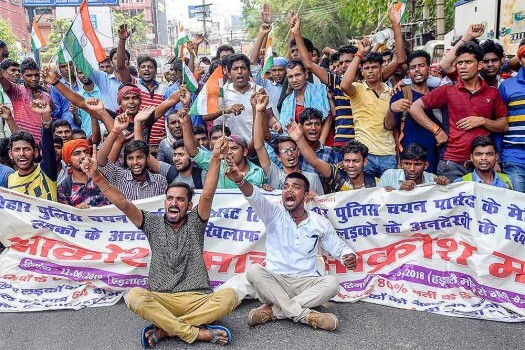 Candidates of Bihar Police Constables Examinations shout slogans during a protest against alleged anomalies in the examination procedure, in Patna. 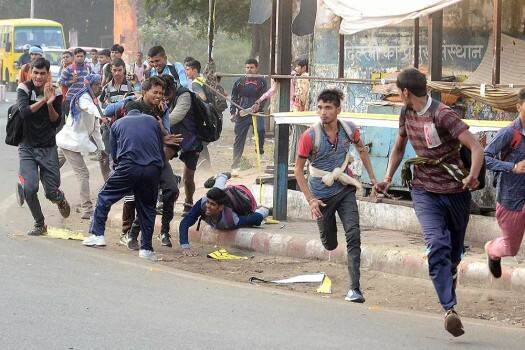 Applicants for Uttar Pradesh Police Constable Recruitment wait in a queue outside their exam centre, in Allahabad. 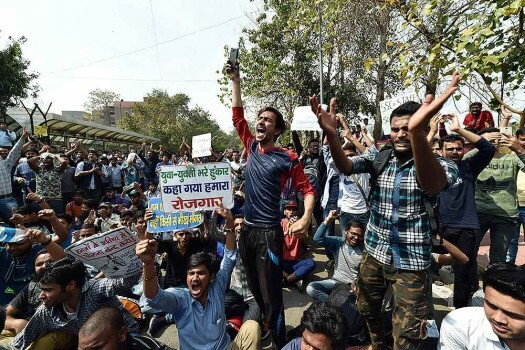 Staff Selection Commission (SSC) aspirants stage a protest demanding CBI probe into the alleged paper leak outside SSC building, at Lodhi Road in New Delhi. 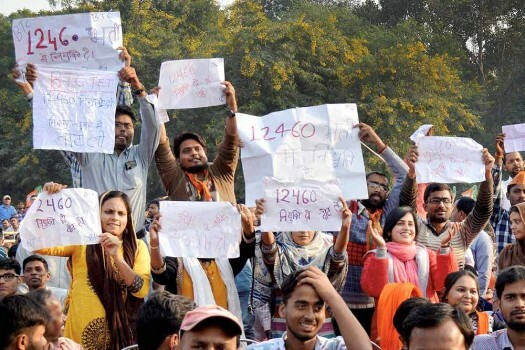 BTC aspirants shouting slogans against Uttar Pradesh Chief Minister Yogi Adityanath during his election campaign rally in Allahabad. 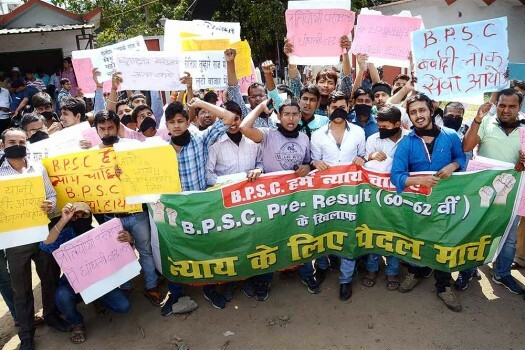 Candidates of Bihar Public Service Commission (BPSC) display placards and shout slogans during a protest against alleged discrepancies in BPSC Pre results, in Patna. 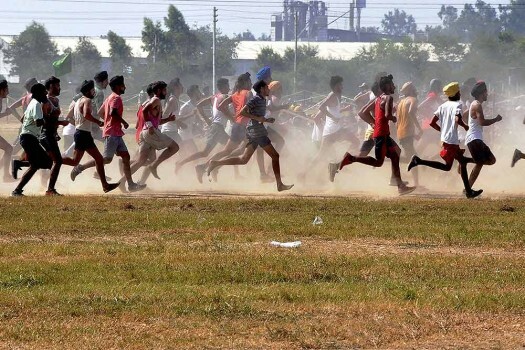 Candidates run during their physical fitness test at an Indian Army recruitment rally at Khasa near Amritsar. 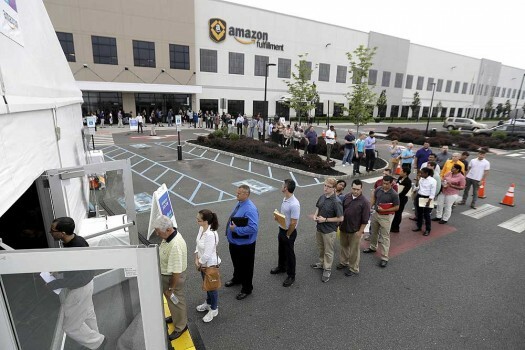 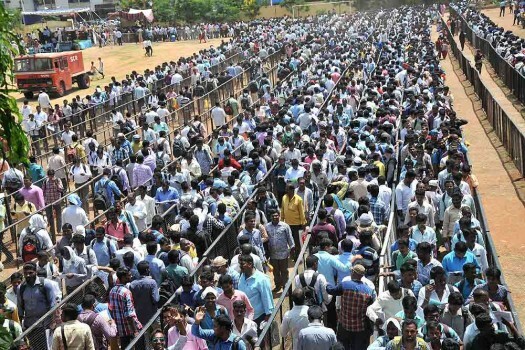 People participate in Job Fair in Secunderabad. 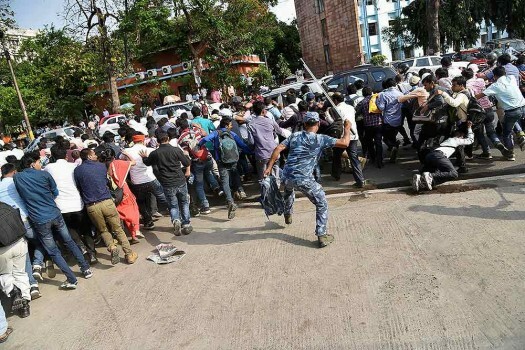 A model walks the ramp during the audtion for Lakme Fashion Week Winter/Festive 2017" in Bengaluru, Karnataka. 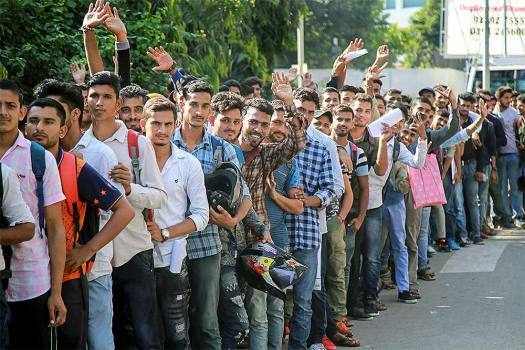 Models wait to participate in an audition for the upcoming Lakme Fashion Week, in Mumbai.